The only thing missing from this great workshirt is the grease! Lucky 13 have long been the masters of crankin' out great looking workshirts, and they continue that tradition with this great new style. 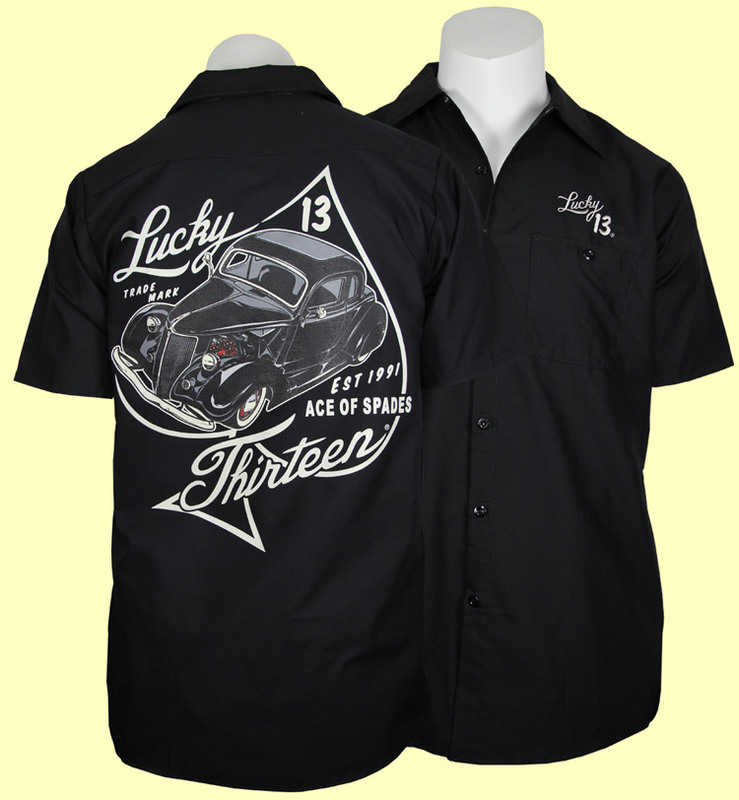 This black workshirt features the Lucky 13 Ace Of Spades design in a very detailed and high quality print on the back, the Lucky 13 logo embroidered on the front and two front chest pockets with buttons.